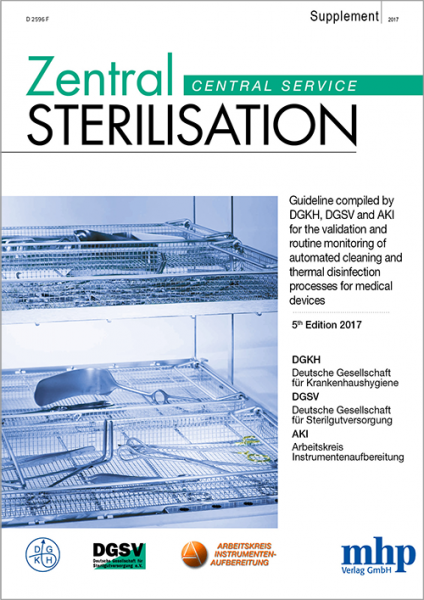 Validation of the process steps of automated cleaning and disinfecting of medical devices is an elementary requirement of their processing for use to ensure that the requirements of the pertinent effective regulations are met. Since publication of the first edition in 2005, the team of authors has continuously developed the Guideline, building on experience and improvements as they have become available and proven. This revised Guideline also implements the requirements of the current version of EN ISO 15883, “Washer Disinfectors”, providing the organizations involved with these activities with the current state of the art. Related links to "Guideline 05/2017"